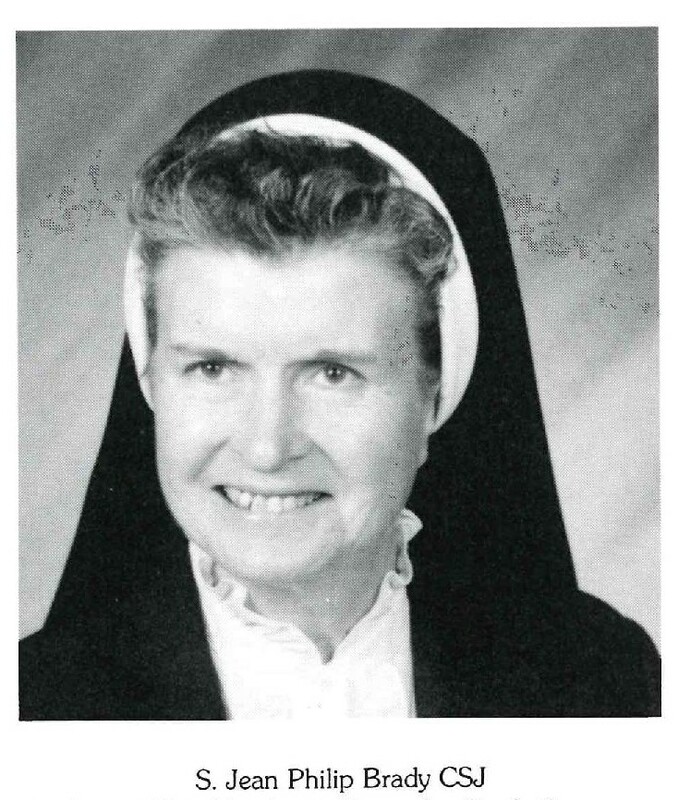 Sister Jean Philip Brady, CSJ, passed away peacefully this week, at Maria Regina Residence, in Brentwood. Sister Jean worked here at St. Joseph High School for over 40 years. Sister Jean Philip Brady, CSJ, passed away peacefully this week, at Maria Regina Residence, in Brentwood. Sister Jean worked here at St. Joseph High School for over 40 years. She taught Religion and then worked in the Guidance Department for many years. Her kind, calm, and helpful manner with everyone, students, faculty and staff was a hallmark of her ministry here, and everywhere. Sisters of St. Joseph would say that she lived out our spirituality of being one with others in a “gentle and befriending manner”. Sister Jean spent most of her religious life living in Williamsburg, Brooklyn, and was truly a part of the Epiphany parish and the surrounding neighborhood.